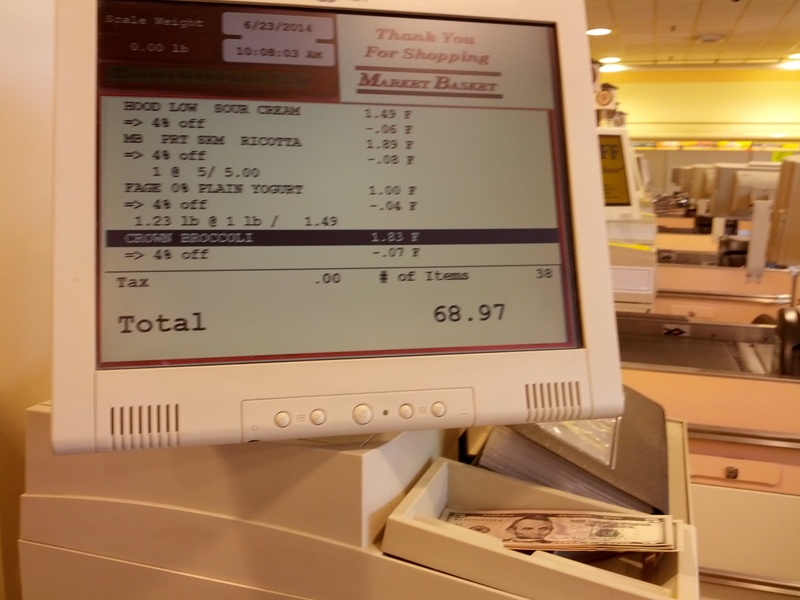 This past week I shopped our Market Basket grocery list that we issued to our members. At least once a month we pick one of our stores we offer subscriptions to for a test run so we can show how shopping the weekly specials AND shopping with an organized plan will save you big at the register. 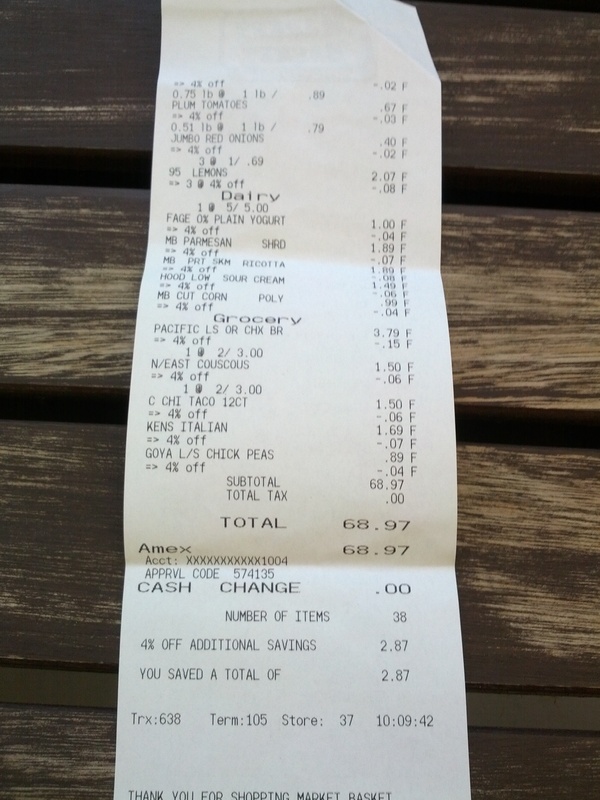 Although we state that on average a week’s worth of family dinners will not cost more than $85, it often is much less. 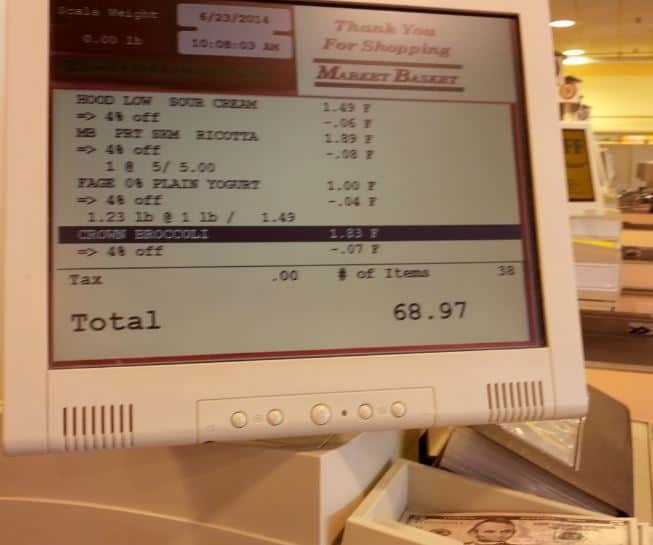 This past week at Market Basket our total came to $68!! 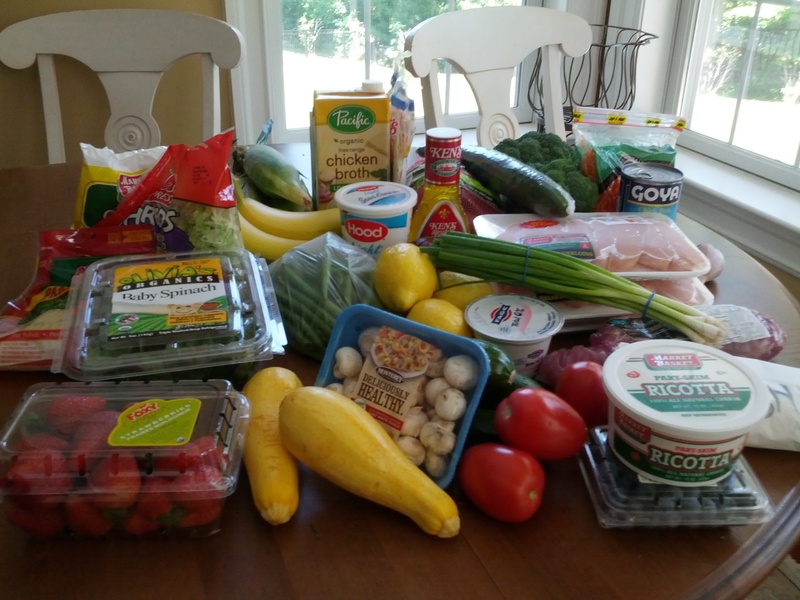 This was the menu of 5 healthy and easy dinners (and sides) we shopped for on this list. Note: We did not purchase the staples on our list (ie olive oil, spices) since the cost of these items is spread out over a number of weeks. Five dinners for $68 for a family! When we tell people this is the norm with our member plans they are almost ALWAYS surprised and its met with comments such as “No way!” or “You gotta be kidding’. Well, we are not kidding. This is really achievable each and every week. You just have to plan for it as it certainly will not happen by winging it. Shopping with a list that incorporates as many weekly specials as possible is a huge budget saver. It works….it really does. We have calculated the specific savings that come from shopping the specials and estimate this to be between $30 and $40 per week. What that means is if you shopped this same list when those items were not on special, you would have spent $30 to $40 MORE for the exact same ingredients. (This brings up visions of rolling down the window and throwing two $20 bills out the window). Plan your meals around the store flyers for a few weeks and see for yourself. You will then have to figure out what to do with all your savings!